Here is a Virtual Tour of some of our guild member's sewing spaces in 2007. Check out all the great ideas for setup, design walls, organization and storage! Are you a "Material Girl"? Some shops thrill me, some shops bore me, some are just O.K. If my husband pays with credit, I'll shop from now till May! Gotta touch it, gotta feel it, build my fabric stash. So my husband won't freak out, I'll buy it all with cash! 'Cause I am living in a material world, and I am a material girl. Living in a material world, and I am a material girl! I look forward to our quilt guild every single day. Experience has made my quilting better in every way. Sew & Tell's my favorite thing, I learn new skills each time. For every stitch I take apart I wish I had a dime. 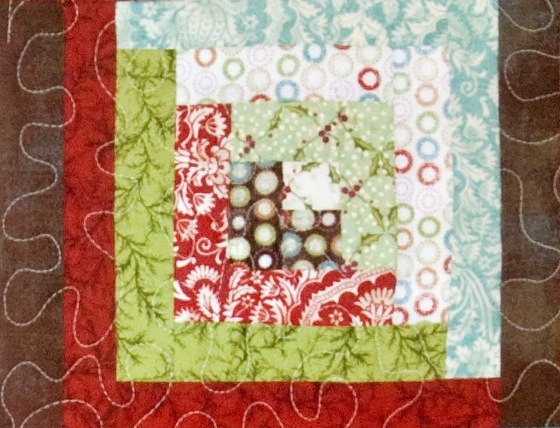 Perfect points and narrow bindings are the quilter's way. Late nights, no sleep, working on the quilt to win the prize.